The Supplemental Nutrition Assistance Program (SNAP; formerly The Food Stamp Program) is the primary lever for food assistance in the United States. Evidence suggests that SNAP is effective in increasing resources to purchase food and in reducing food insecurity when a household does not have consistent access to adequate food, due to a lack of money. SNAP lifts children and families out of poverty and diminishes economic hardship, especially among those living in deep poverty. But is the benefit sufficient to meet the goals of the program everywhere in the U.S.? Local food prices vary meaningfully among locations. Higher food costs and lower SNAP purchasing power increase food insecurity. A geographic adjustment to equalize SNAP purchasing power across locations in the contiguous U.S. would reduce food insecurity, improve child outcomes, and be cost effective. A household’s SNAP benefit allotment is a function of the maximum benefit minus a household’s expected contribution toward purchasing food. The Thrifty Food Plan (the TFP) specifies the bundle of foods constituting a nutritious diet that can be purchased at minimal cost; the value of this bundle, which was last updated in 2006, serves as the basis for the value of the maximum SNAP benefit. The maximum benefit is then adjusted by family size. A household without net income receives the maximum benefit. Households with positive income (net of deductions for labor-market earnings, dependent care, housing costs, and other expenses) see their SNAP benefit reduced by 30 cents for every dollar of net income. There is almost no geographic variation in the SNAP benefit formula. Alaska and Hawaii do have a higher maximum benefit, which the Institute of Medicine report on SNAP benefit adequacy speculated was due to their presumed higher food costs. The benefit formula makes these two states the exception, but evidence from the past two decades suggests that there are substantial local differences in food prices across the rest of the United States. Until recently, evidence about local differences in food prices was only available for large regions: the nation and the four census regions. The Quarterly Food-at-Home Price Database (QFAHPD) was developed to provide policy-relevant detail on the price of more than 50 food categories in about three dozen locations (market groups) in the United States. These data show that the price of food varies widely across different locations. They show that the relative price of healthier foods depends on the market group. In places with higher food prices, rates of household, adult, and child food insecurity are higher. This geographic variation in food prices enhances or diminishes SNAP’s purchasing power, i.e. the value of the SNAP benefit in real terms at the local level. 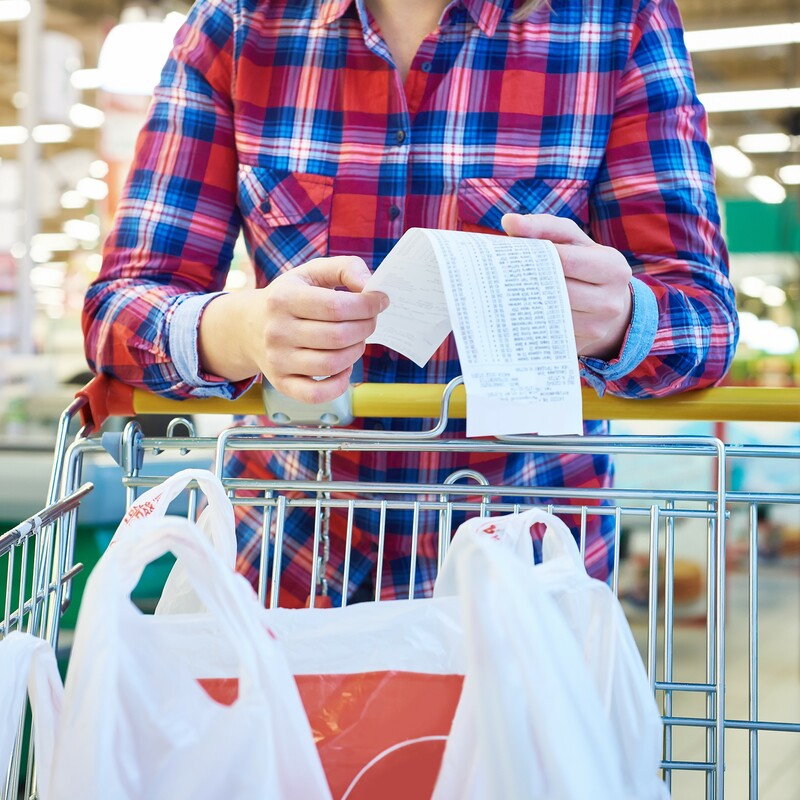 In a new National Bureau of Economic Research working paper released last month, Bronchetti, Christensen, and Hoynes reported on the effect of such variations in SNAP purchasing power trends on child outcomes. Using the QFAHPD, Bronchetti, Christensen, and Hoynes constructed local TFPs for 30 market groups over time. They used these TFPs to calculate SNAP purchasing power in a local area, which is the value of the SNAP maximum benefit (i.e. the national TFP bundle) divided by the value of the local TFP bundle. SNAP purchasing power varies widely across the U.S. As an example, figure 1 shows the variation across 30 market groups in SNAP purchasing power in 2010. In the darkest blue markets, SNAP benefits cover between 75 and 80 percent of the cost of the local TFP; the data shows that SNAP purchasing power is higher in parts of the Mountain West and lower Midwest/upper South. In the Northeast, Florida, and West, SNAP purchasing power is lower and benefits cover less than 65 percent of the cost of the local TFP. The QFAHPD documents not only that there are market group food price differences at a single point in time, i.e. figure 1, but that trends in food prices by markets are quite different over time. For example, in the Mountain West market centered on Utah, SNAP purchasing power increased from 65 to 70 percent in 1999 to 75 to 80 percent in 2010; while SNAP purchasing power in Maine and upper New Hampshire and Vermont decreased from 65 to 70 percent in 1999 to less than 65 percent in 2010. Bronchetti, Christensen, and Hoynes use this variation in SNAP purchasing power to identify effects on health care utilization, health outcomes, and food insecurity among children as measured in the National Health Interview Survey, as well as the Current Population Survey Food Security Supplement. The results are summarized in Figure 2. This research found that children who live in local areas with less SNAP purchasing power have lower health care utilization, including less preventive care. A 10 percent increase in SNAP purchasing power increases the likelihood that a child has an annual checkup by 8.1 percent (6.3 percentage points). There does not seem to be a direct effect on health outcomes, though children in local areas with lower SNAP purchasing power do miss more days of school due to illness. A central goal of SNAP is reducing food insecurity. Increasing the program’s purchasing power by 10 percent can reduce food insecurity among children by 21.8 percent (6.4 percentage points). This new research adds to extant evidence of the positive effect of SNAP on reducing food insecurity and improving health from birth to adulthood. But it also draws attention to a deficiency in the SNAP benefit formula – national food price setting for the TFP – that is having a harmful effect on program outcomes. In a Hamilton Project policy proposal, Ziliak makes an evidence-based argument for modernizing the SNAP benefit formula. There are a variety of consequential adjustments that could be made to the SNAP benefit formula, including accounting for the cost of time in food preparation, relaxing the constant-cost constraint in constructing the TFP, and changing the reference points, whether the reference family of two adults and two children under 12 or the TFP consumption profile itself. Adjusting the maximum benefit by location, due to variation in local food prices, is a central pillar for reform under this proposal. This new research provides additional evidence that the maximum SNAP benefit should be adjusted by geographic food price differences. Full indexation of the benefit for regional prices--meaning increases in real benefits for some and decreases for others--is constrained on the downside both by legislation and by other considerations of the construction of the SNAP benefit. Legislation prohibits the value of the benefits from falling below the level in October 1, 1996, setting a legal floor. Moreover, as highlighted in his proposal, Ziliak argues against full downward adjustment because of other deficiencies in construction of the TFP; namely, the constant-cost constraint imposed on updates of the TFP, the lack of cost-of-time adjustment for food preparation, and the fact that the initial benefit was based on the food plan for emergencies, not for regular income support policy. This means that only implementing an upward adjustment would not be cost neutral within the narrow definition of SNAP spending. However, because of evidence that SNAP reduces health-care expenditures via reduced food insecurity, this type of upward geographic adjustment may be cost neutral or better once accounting positive spillovers from lower publicly funded health care costs. Geographic price adjustments would allow benefits to more closely align with the cost of food at the local level. While SNAP currently incorporates some adjustment of benefits for geographic differences through the deductions for excess shelter costs and the earnings disregard in calculating net income, a geographic adjustment would link the maximum benefit calculation directly to a local price index. To facilitate the transition to a geographically-adjusted maximum benefit, the Bureau of Labor Statistics should produce and publish local Consumer Price Indices (CPI) for the 29 food categories in the TFP. Replacing the annual national CPI adjustment with an annual local CPI adjustment would account for level and trend differences in food prices by place, replicate an existing process, and minimize administrative burden. Increasing the local SNAP purchasing power will improve health care utilization and school attendance among children, and reduce food insecurity.